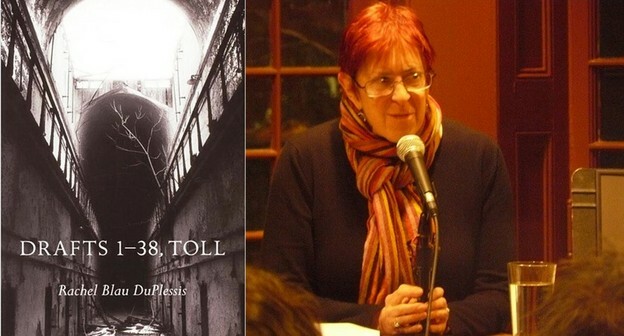 Rachel Blau DuPlessis's “Drafts 1–38, Toll” (2001); DuPlessis reads at Kelly Writers House, Philadelphia, March 3, 2011. This is a rewriting of my talk at the Temple symposium on Rachel DuPlessis’s career and writing. Though my announced title, “The Mothers of Us All, and Their Fathers: Drafts and the Epic Tradition,” pointed toward Stein, that was just a placeholder I’d provided months before. Stein is a plausible figure to bring to bear on Drafts: hers is the first proper name to appear in the poem, and no modernist is more specifically anti-patriarchal. Think of “Patriarchal Poetry” or the diatribe against fathers in Everybody’s Autobiography (“Fathers are depressing … father Hitler and father Roosevelt and father Stalin …”), not to mention her final play that my placeholding title quoted, “The Mother of Us All” with its satire on Daniel Webster and John Adams. But Stein is not a major presence in Drafts; and in the event of the talk itself I spoke nary a word on her, instead focusing on the moment of conversation between Rachel and myself when she first confirmed that the poems she was publishing marked the beginning of a Poundian/counter-Poundian project. For Rachel to have announced that choice makes it a charged moment. Stein would have provided many pleasurably instructive paths, but with Pound the issues are inescapably grave. With Stein one could have reinhabited attractive scenes of writing, say, the long summer where Alice continually drove a cow or two into the view while Stein continually penned Lucy Church Amiably, but with Pound the pleasures, if one wants to call them that, have proven historically prohibitive; and instructive? Not so much. Nevertheless, the power of his poetics remains a compellingly interesting force. Somewhere during the exfoliation of Drafts, I think in around 1993, but possibly just after The Trouble with Genius appeared in 1994, Bob Perelman asked, not quite casually, ‘how many of them there would be.’ I hadn’t considered the question consciously, but unconsciously I was ready. So I answered, ‘100, like Pound’s Cantos.’ We both sort of gasped. I am grateful that he asked, because his question … catapulted me into facing my actual ambition. It was the first time I had said the number aloud. Been allowed to say that number. What are the implications of that revealing remark? What stopped it (or maybe not!) from being just sheer bravado, the work of the blurter in me, a stagy, confrontative claim to which I had no claim to which I had no right? Well, to say this project was involved with and against Pound from the start is almost tautological. My memory, having been jogged by these messages, nevertheless replayed a slightly different version of that moment: I hear myself ask if calling it Drafts means there will be 100 — i.e., are you taking on The Cantos? — to which I hear Rachel answer, Yes, in some sort of wary, confident mix of tone. I now find the situation of our memories vying to claim the initial public utterance of the names of Pound and The Cantos to be a vaguely Jamesian vignette. But the much more important actor in this moment is of course, Pound. And the real moment of interest is not this snippet of conversation, however inflected, but the emergence of Drafts. That moment is not yet complete, but when it is, it will of course mark a major fact in anglophone poetic history. One of its entailments will be to effect a reversal of Pound’s power of literary naming. Or, to put it differently, to un-name the Pound era. Near the beginning of the last century, in a tea shop across from the British Museum, Pound named Hilda Doolittle H.D. Imagiste. Near the beginning of this, DuPlessis writes a long poem entitled Drafts that, ultimately, reclaims from Pound that word and gesture, and brings the long poem back into the arena of social, political, and poetic argument. I am often asked whether there can be a long imagiste or vorticist poem. The Japanese, who evolved the hokku, evolved also the Noh plays. In the best “Noh” the whole play may consist of one image. I mean it is gathered around one image, enforced by movement and music. I see nothing against a long vorticist poem. The moment is a fraught arena for any poetics. It is always changing and never convenient for the longevity of any of the conjectures of poeticians, and it is where any poetic fact must continually exist. However, if we fetishize the moment (which Silliman doesn’t do) we get Poe’s insistence: “I hold that a long poem does not exist. I maintain that the phrase, ‘a long poem,’ is simply a flat contradiction in terms.” The poetic measure for Poe is a dilated peak of individual excitement: “I need scarcely observe that a poem deserves its title only inasmuch as it excites, by elevating the soul. The value of the poem is in the ratio of this elevating excitement. But all excitements are, through a psychal necessity, transient.” Thanks to DuPlessis’s work, it now clearly the case that the elevated soul for Poe is gesticulating toward is gendered male, a sad fact of history whose final truth is as follows: that “the death then of a beautiful woman is unquestionably the most poetical topic in the world” (an idea DuPlessis characterizes as “rancid” [Blue Studios, 220]). Here, even more than Pound, was the gist of the problem. To write Drafts entailed continual struggle: not to be the beautiful object, eternally momentary, i.e., dead. But if we cannot fetishize the moment we must nevertheless continually face it, which DuPlessis does to attending to each mark, line, syllable in both its fragmented being and via repetition, torqueing, connecting to others making it a poetic fact that is both a matter of a given moment and of a world of long range efforts and effects. The complexity of those multiple trajectories is what gives any momentary feature or gesture its scintillation. DuPlessis is one of the most efficacious poet-critics of our time. She writes from “Haibun”: “Speaking as a scholar, it’s not so much the belatedly understood influence of H.D. on me but (don’t get me wrong) my influence on H.D. This peculiar position is true of several other feminist critics who wrote on H.D. very early … notably Susan Stanford Friedman, Adelaide Morris, and Alicia Ostriker … We were inventing an H.D. 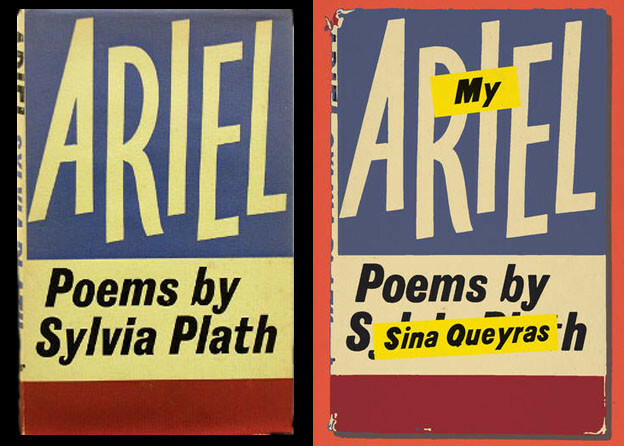 We influenced her work — how it was read, what parts of it were read, why it was interesting. We made it matter for this generation” (Blue Studios, 226). But this example can be extended. DuPlessis has profoundly changed the field of twentieth-/twenty-first-century writing. Her readings have been a fundamental challenge to the prior regime of professed disinterestedness since she writes as a committed feminist. Her criticism is profoundly interesting precisely because of this breach of decorum. Her readings of H.D., of Loy, of Williams, of Creeley, et al. are refreshingly accurate while remaining wide-focused, not in spite of, but because of the ubiquity of gender. It’s as if DuPlessis were reminding us of one of the (social) senses, one that had been systematically crimped. It’s seems a routine enough assumption that the hyphen in poet-critic means that the person so designated is engaged in some cooperative amalgam of poetry and criticism. And certainly DuPlessis’s criticism is one with the poet’s syllabic zest, otherwise I don’t think we’ve have a piece like “‘HOO HOO HOO’: some episodes in the construction of male whiteness,” where DuPlessis deftly links Lindsay, Stevens, and Eliot all hoo-ing their adventurous forays into the dark. Her term for historically perspicacious close reading, “social philology,” allows her to articulate history in the syllable. But in a basic way the clarities resultant from DuPlessis’s criticism trouble the poet-critic hyphen. Her criticism shows that she knows, in the greatest detail, just how improper it is for a poet such as she to be writing a long poem, how contra naturam (to use the Poundian fulmination) it is for her to systematically avow scale. Which brings us back to Drafts and Rachel’s announcement of its genre. It’s not historically accurate to read Bunting into that opening moment of Drafts. But his “On the Fly-Leaf on Pound’s Cantos” seems, if counter-historical juxtapositions be allowed, to comment aptly on the constructive DuPlessis makes out of those Ns. I doubt if I knew this poem very well then — I certainly hadn’t thought about it — and I don’t know that Rachel did. Nevertheless, while it can be construed, from one angle, as a wonderfully generous description of The Cantos, from another, in the description of Pound’s writing as glacial, millennial in its semantics, one can make out the warning signs: Danger! Sublime Ahead! Empathizers, Collectivists, and, especially, Women, Keep Back! This sublime expanse was especially chilly for one such as DuPlessis. If readers of Pound’s epic were fools before the Alps, think how much more foolish, untoward, improper it would be for a woman to actually appear on these Poundian slopes, in work clothes, not waiting for glaciers to carve the meaning into the rock, but carrying her own tools. Quite a breach of modernist epic decorum. Woman, as DuPlessis has made quite clear, was a depersonalized myth for Pound: his “forms of modern maleness … depend, as subject positions, on proposing and maintaining a dehistoricized, despecified female figure (Blue Studios, 124). ’twas also setting forth of signs to read or tell. Earlier I said that DuPlessis was truly efficacious. She is changing the conditions in which she is writing. One change is that Pound, while one can read traces of him throughout Drafts, is less and less a shaping force on the writing as the poem accumulates. Not working out of the Poundian subject-position — this is a great gift. DuPlessis’s incessant inventiveness, her interest in inventing via number, her commitment to a poetic and critical commons — these are profoundly beyond Pound. Or, more generously, say that DuPlessis’s work is modifying Pound’s still-exciting obsession that poetry mean something and do something in the world we live in. 1. “A Celebration of the Poetry and Criticism of Rachel Blau DuPlessis,” Temple University, October 21, 2011. 2. Rachel Blau DuPlessis, Drafts 1–38, Toll (Middleton, CT: Wesleyan University Press, 2001), 4. 3. Gertrude Stein, “Patriarchal Poetry,” in Gertrude Stein: 1903–32 (New York: Library of America, 1998); Everybody’s Autobiography (Cambridge: Exact Change, 2003), 136–37; The Mother of Us All (New York: Vintage, 1975). 5. DuPlessis, Blue Studios (Tuscaloosa: University of Alabama Press, 2006), 246. 6. H.D., An End to Torment (New York: New Directions, 1979), 18. 7. Ezra Pound, Gaudier-Brzeska: A Memoir (New York: New Directions, 1970), 94. 8. In DuPlessis, Genders, Races, and Religious Cultures in American Poetry, 1908–1934 (New York: Cambridge University Press, 2001), 81–105.